No matter what industry your business competes in, it is more likely than not that a legal dispute will inevitably arise. Whether you are a private individual, a partnership, or a large corporation, it always helps to have an experienced attorney to go to bat for you in court. Orlando business and litigation lawyer Eric Lanigan has 36 years of experience when business litigation is necessary and knows what it takes to resolve complex legal issues. Roddy Lanigan and Eric Lanigan of Lanigan and Lanigan P.L., will work to help your business handle all manner of legal situations you’re likely to encounter at some point and make sure that it can continue to grow and remain profitable. Generally, when a business dispute arises it can be resolved through negotiation or arbitration proceedings which give both sides a swift and efficient resolution. Negotiation and arbitration are excellent ways to avoid going to court and paying unnecessary fees for many legal issues. The Lanigans are very aware of how expensive legal fees can become when there’s need for litigation. However, other times the dispute can grow into a problem that neither side could have foreseen and the only way to resolve it is through business litigation. At this point it’s very important to have an attorney with courtroom experience. Business litigation covers a wide array of legal issues but most are contract and tort related. Many times businesses just want to continue business as usual but a breach of contract can result in bad blood between two companies and the only way to solve the problem is to go to court. In contrast, maybe a private individual feels that an investment broker has not acted ethically and has suffered excessive financial loss. This individual may pursue business litigation against the brokers who did not act in the best interest of their clients or who have failed to disclose investment information. Another common situation is a breach of fiduciary duty between business partners or shareholders. If a partner or corporate officer violates the obligations of good faith, due care, or loyalty than the partners or shareholders may be able to recover through business litigation. Although this can put a serious strain on business, it is sometimes the only way to work out a business dispute. On the other hand, an insurance company may deny a fair claim for a small business. Many times insurance companies will use confusing and convoluted terms in contracts to avoid payment of a legitimate claim. Yet, through business litigation, the small business may be able to recover the amount they are entitled to. Although resolution without resorting to business litigation is preferable for everyone involved in a legal dispute, sometimes this just isn’t possible. In these cases, a good business litigation attorney can be invaluable in protecting your rights and your company’s business interests. If you feel you need an experienced business litigator, schedule an appointment with Lanigan and Lanigan in Winter Park Florida. Experienced attorneys and representation with a personal touch. Whether you are a private individual, a partnership, or a large corporation, it always helps to have an experienced attorney to go to bat for you in court. Orlando business and litigation lawyer Eric Lanigan has 36 years of experience when business litigation is necessary and knows what it takes to resolve complex legal issues. 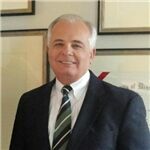 Member at firm Lanigan & Lanigan, P.L.